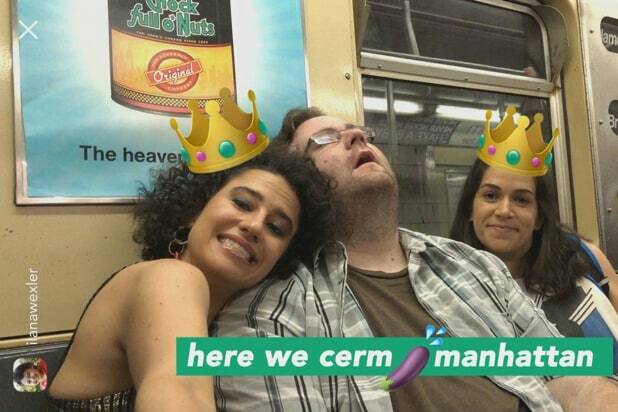 “Broad City” returned Thursday night for its fifth and final season with a different kind of episode. One that was done entirely as if it were a giant Instagram Story. But it was definitely not an Instagram Story, per se. 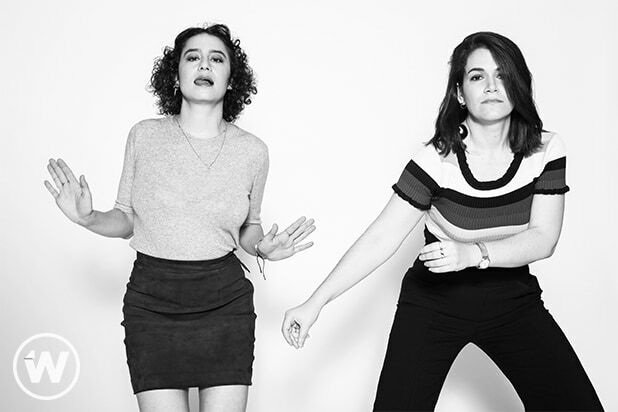 During a press day at Viacom’s Los Angeles office earlier this month,”Broad City” co-creators/co-stars Ilana Glazer and Abbi Jacobson explained just how they were able to do nearly an entire episode — titled “Stories” — like that without having to ask for Instagram’s permission. “It’s not their interface,” Glazer said. “We’d have to comply with their creative boundaries if we worked with them.” They said that’s why they just say “Stories” throughout the episode, noting that most people would get the reference. “It’s different enough [from Instagram’s platform],” added Jacobson. Glazer said that they’d been thinking for awhile about doing an episode like this, where Ilana Wexler (Glazer) makes a home video for Abbi Abrams (Jacobson). They did actually film the whole episode on a phone and actually trekked up and down Manhattan (though they did so in a van). But the episode isn’t just a fun way to break format as the series kicks off its final season. They both pointed out that it’s also a commentary on society’s all-too-frequent need to check any and every screen. At the end of the episode, when the show reverts to its usual, single-camera format, Abbi laments that she can’t really remember any of their day, even though they captured all of it on social media. But they know that it’s just not that simple. The episode ends with the two of them seeing a double rainbow, then immediately bemoaning that they don’t have a phone to capture the sight.